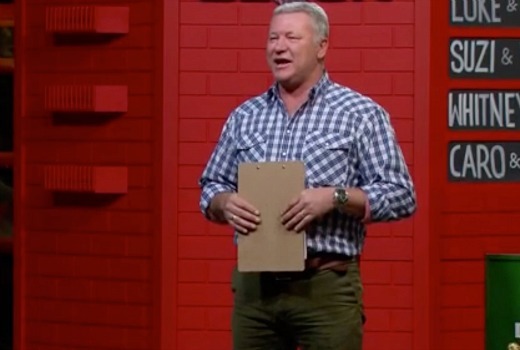 The Block is enjoying a dream run as it heads towards its final auction, last night attracting 1.36m viewers -its biggest audience so far this season. Numbers for the “room reveal” episode will put an end to suggestions the renovation genre was dead, but it was impacted by over-saturation. Newly-arrived observational Beach Cops is enjoying its prime 8pm position at 815,000 viewers for Seven, up by 99,000. TBL Families was down slightly for TEN from 576,000 to 557,000. While ABC had a tough night The Beautiful Lie lifted from 381,000 to 433,000. Nine network comfortably won with 33.8% then Seven 28.0%, 17.1%, ABC 13.8% and SBS 7.2%. The Block (1.36m) easily topped the night for Nine followed by Nine News (1.22m), and 60 Minutes (1.05m). An oddly-scheduled doco KKK The Fight for White Supremacy drew 498,000 viewers. In daytime the First Test scored as high as 842,000. Seven News (1.07m) was best for Seven then Sunday Night (1.06m), Beach Cops (815,000), Quantico (508,000) and Castle (366,000). TBL Families led for TEN with 557,000 viewers. TEN Eyewitness News was 454,000, Scorpion was 422,000, Limitless was down to 331,000 and NCIS was just 193,000. On ABC it was ABC News (742,000), Doctor Who (466,000), The Beautiful Lie (433,000), Compass (288,000) and Death in Paradise (261,000). Building the Ancient City (320,000), Genius (273,000) and SBS World News (163,000) comprised SBS’ night. 7TWO’s Escape to the Country led multichannels with 260,000. OzTAM Overnights: Sunday 8 November 2015. I will never get what the appeal of all of these stupid Reno shows are. Those factuals like Beach Cops, Bor Sec and Highway Patrol were off the boil a bit not that long ago, but they are rating really well (and more importantly consistently) lately across the schedule I’ve noticed. I am not sure how the Dream run will go, when my PVR says the cricket All Stars is on next Sunday. It has been an interesting season. I thought the KKK show was part of 60 Minutes lol. Should have been KAK not KKK. How irrelevant. Quantico, The Beautiful Lie and Limitless are all OK (but not great), but rating poorly. They are only picking up 100-150k in the +7s. Drama around the lounge room tele on Sunday nights only seems to work for big event miniseries these days.